How are you Groovie Girls and Family? Hope you are well and Enjoying this month of November! Exams are over for some of our Little Ones and soon it'll be the School Holidays! November is a Special Month for me personally as I will be celebrating my Wedding Anniversary and my Birthday! Yeah! :D And for all November Babies and Couples celebrating, Have a Great Celebration! 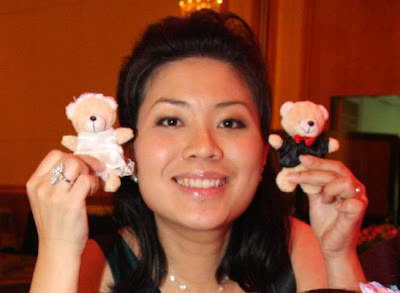 Hi everyone, my name is Michelle Lui and I'm from Singapore. I started this hobby about two years ago and is so addicted to scrapbooking now that whenever I have time, the only thing in my mind is to sit down and start a new layout, and it has become part of my life. 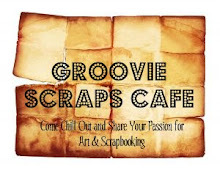 I am very honoured to be the Featured Groovie Guest Designer for this month challenge. Have fun! My Challenge for the month will be using any punches or/and die cuts that you have. For my case, I have used punches for my flowers and die cut to emboss my frame for my layout. Do join in the fun and can't wait to see what you come up with! and join in the Happening Groovie Fun!